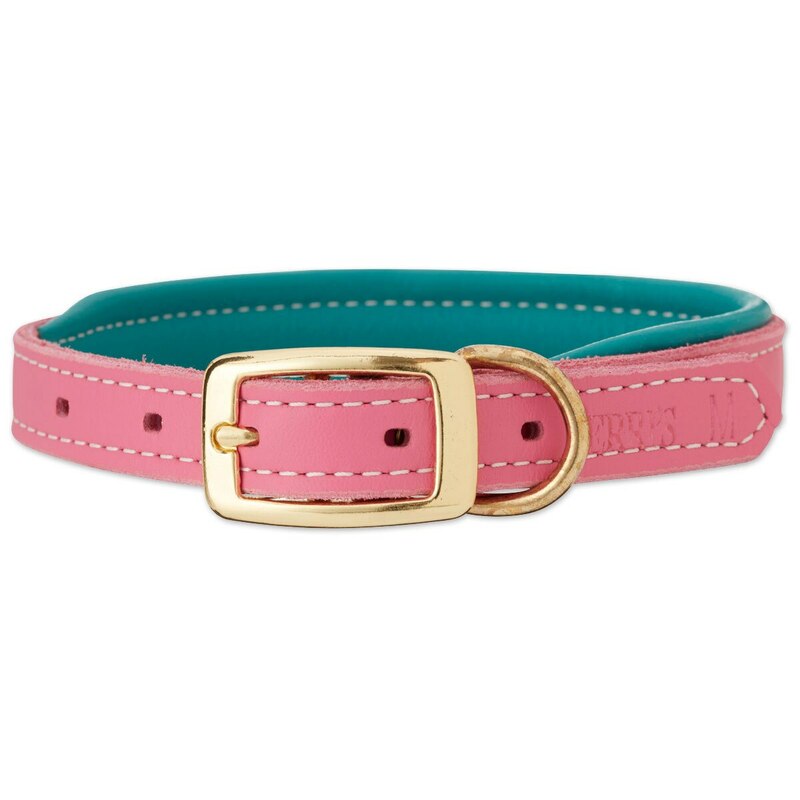 The SmartPak Soft Padded Leather Collar is now available in three beautiful pastel colors! 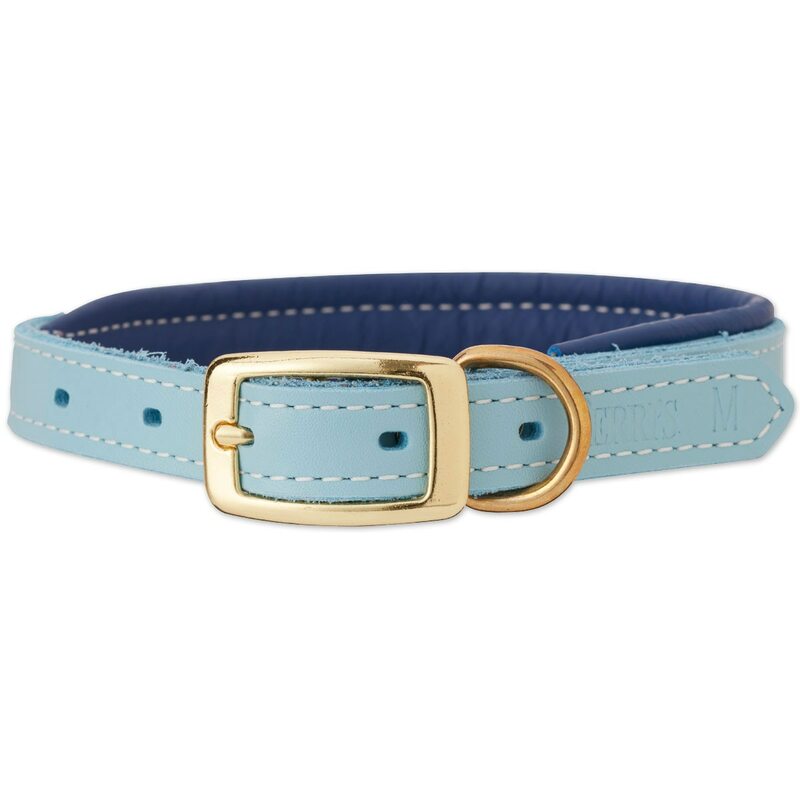 Crafted by the Amish with premium quality leather, this collar is made to last! Solid brass hardware helps to ensure years of good use for even the most playful and active dogs! 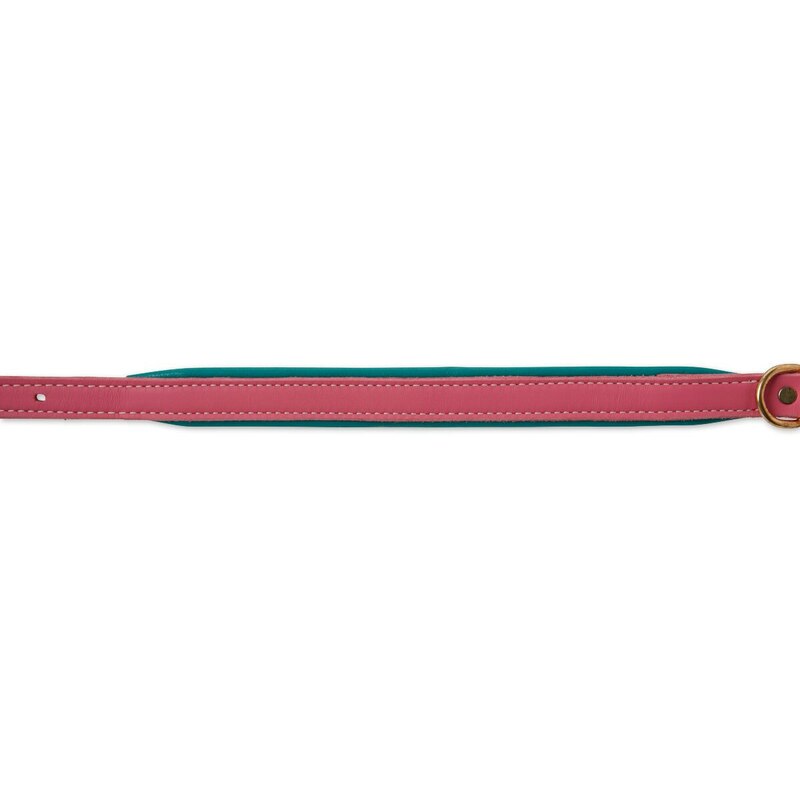 Small: 3/4" x 16" - fitting dogs with 10 - 13" necks. Medium: 1" x 21" - fitting dogs with 12 - 16" necks. 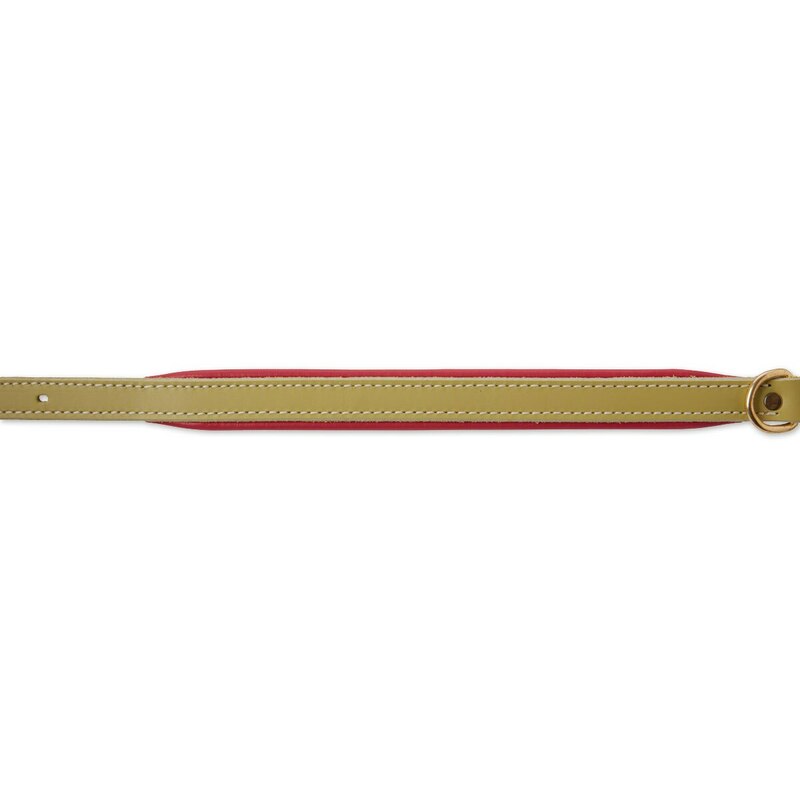 Large: 1.25" x 25" fitting dogs with 16" - 20" necks. X-Large: 1.25" x 31" fitting dogs with 20 - 25" necks. 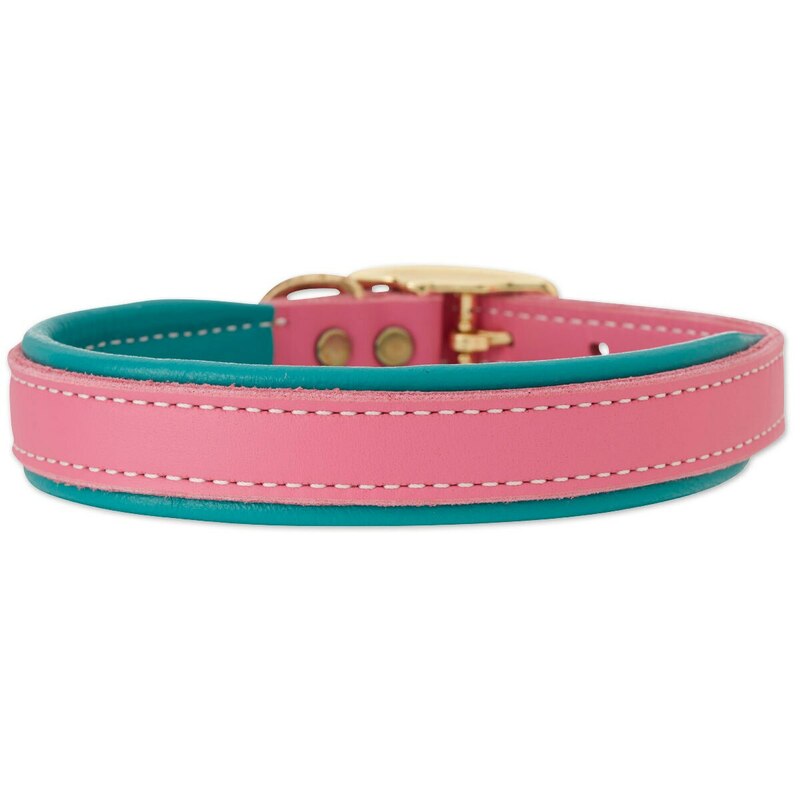 SmartPak Soft Padded Leather Collar - Pastel Collection is rated 4.8 out of 5 by 8. Rated 4 out of 5 by BCCO from Very colorful! I love the color and it looks great on my dog. After a little bit of light wear, I’ve noticed the collar is starting to wrinkle around the engraved plate and I hope this won’t result in loss with more wear. We have the collar on a middle hole and the engraved plate is way off center, which I realize is a difficult task with medium to small collars. It just looks a little strange. Rated 5 out of 5 by Eventerjazz6 from Super soft leather! I love this collar. The color is awesome and I love the teal padding. It’s hard to find padded collars in stock in pet stores. My pup looks beautiful with it. My only issue with it is I wish the holes were maybe a 1/2 inch apart instead of one inch. My dog’s neck is “between sizes.” But I could easily punch a hole in between too. Rated 5 out of 5 by Johanna from Great collar! Unfortunately I had to return it as even the small was too big for my Brussels Griffon. She is only 8 lbs and has a tiny neck. But overall I was very happy with the name plate and customization and the quality of the collar. Customer service was great about returning it, even with the customization. Rated 5 out of 5 by Marina from Beautiful collar! 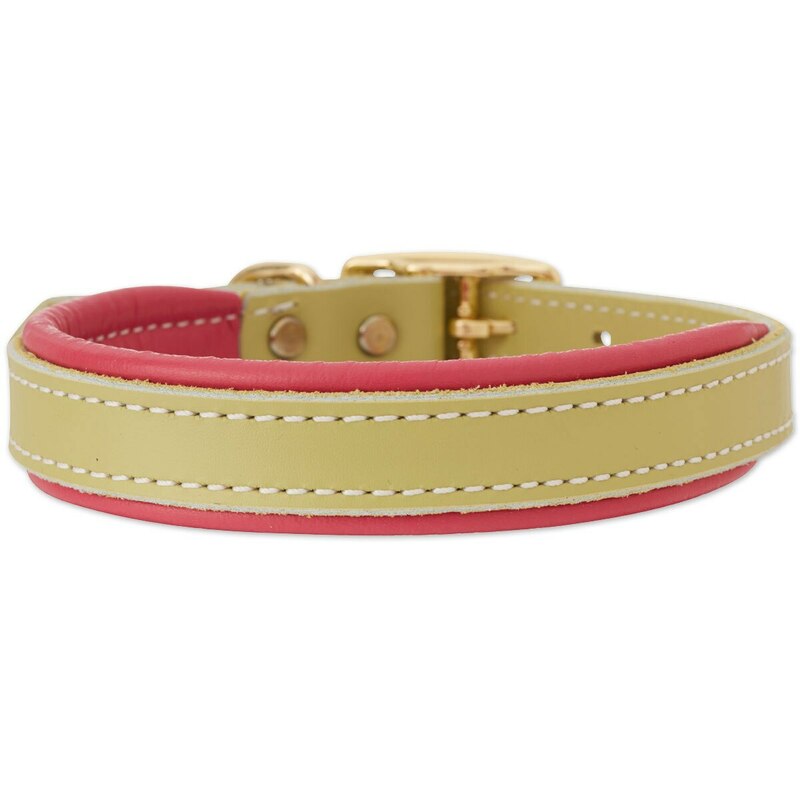 Got this for my dog Libby and also had it engraved, it is beautiful and leather is soft and supple! Sized down as her measurement was right between two sizes and other reviews said runs large. Fits her perfectly! Very happy with it! Rated 5 out of 5 by Morganhrs from Love the collar! I have Great Pyrenees and usually have to go with sewed round leather collars, to prevent matting. So far these are GREAT and look darling on the dogs. My only issue, the customized plate is pretty small, I was expecting a halter plate (2 lines) and it appears to be a bridle plate. The collar itself I would definitely buy again. The pups kept losing their tags, thus the customized plates. 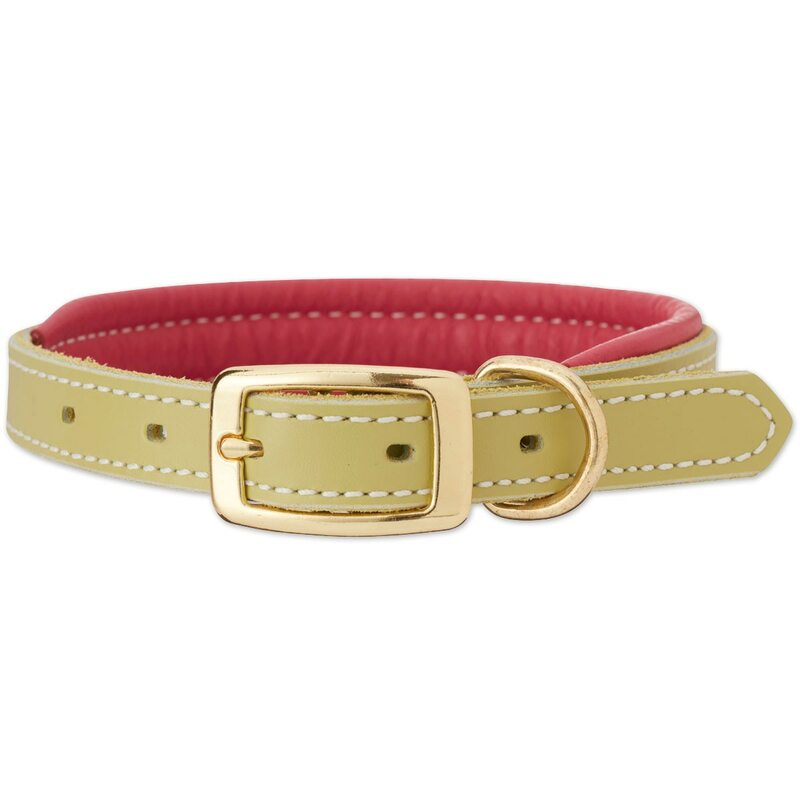 Rated 5 out of 5 by Valerie from Soft Leather Collar Love the color, love the soft leather and it looks beautiful customized with my dogs name. Rated 5 out of 5 by Breezy from Beautiful supple leather! 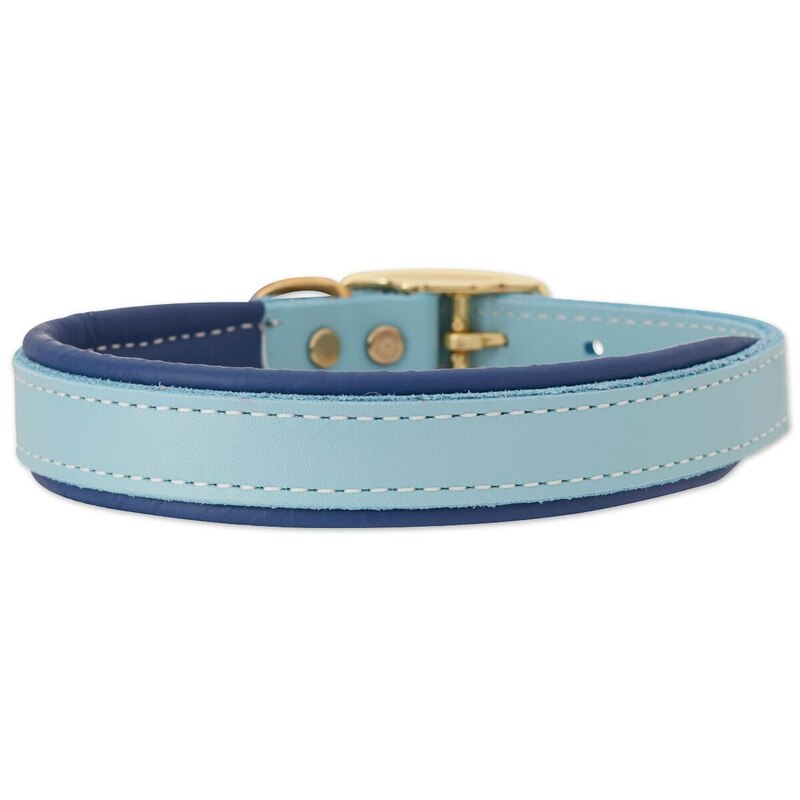 Super nice full leather collar for a great price. Leather is not stiff at all and is ready to wear right out of the box. I read reviews on Smartpak's other padded collar which is the same measurements just different colors and ordered a medium. My dog's neck measured at exactly 17 inches so he should be a large according to size chart. After reading they run big and these collars do actually by a couple inches, I decided to order a medium and it fits him well on the 3rd hole. Even though the measurements are pretty off, I still love the collar and my advice would be to order a size smaller than whatever you measure your dog's neck. I also got the personalized nameplate which looks great. 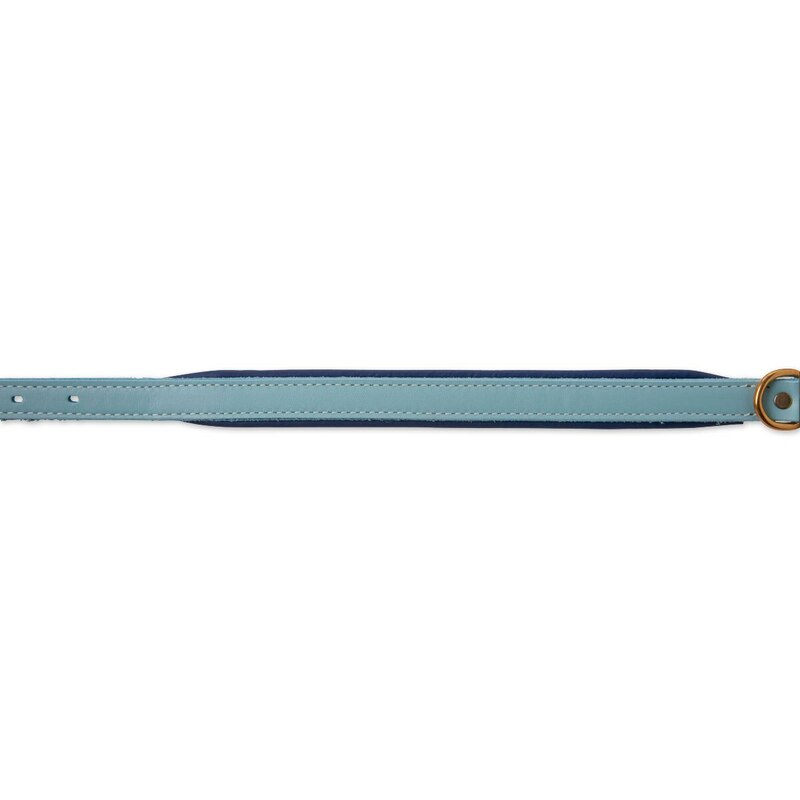 Looks like the same leather they use for their horse halters which are great quality too from the last one I ordered. Overall really happy and would order again.